Higher education policy is the key to lifelong learning and this is particularly important as the ageing population is increasing in many countries. It is a major driver of economic competitiveness in an increasingly knowledge-driven global economy and it also brings social cohesion and well-being. Countries are increasingly aware that higher education institutions need to foster the skills required to sustain a globally competitive research base and improve knowledge dissemination to the benefit of society. Kazakhstan’s higher education system has made progress over the past ten years. 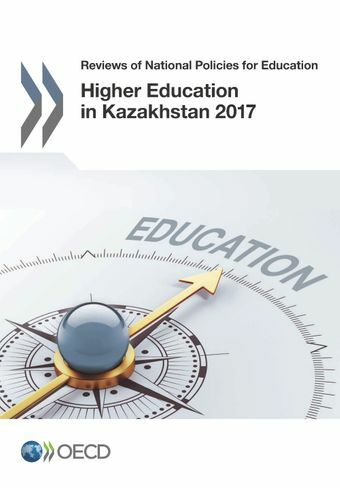 However, there is scope for improvement in delivering labour-market relevant skills to Kazakhstanis, and in supporting economic growth through research and innovation.In examining the higher education system in Kazakhstan, this report builds on a 2007 joint OECD/World Bank review: Reviews of National Policies for Education: Higher Education in Kazakhstan 2007. Each chapter presents an overview of progress made in the past decade across the main areas explored in the 2007 report. These include quality and relevance, access and equity, internationalisation, research and innovation, financing and governance. The report also examines policy responses to evolving dynamics in higher education and the wider socio-economic changes.